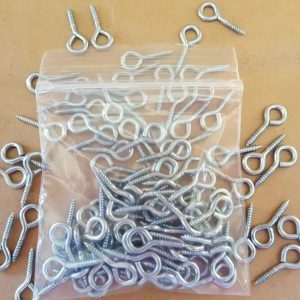 Save 10% when you order 10 or more packs of this item. 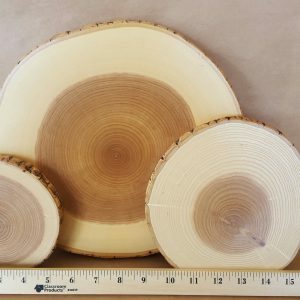 Red Pine Tree Round, pack of 5, 2.5″ – 3.5″ diameter, 5/16″ thick. 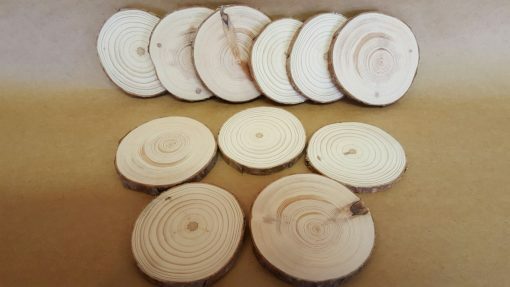 Tree cookies are dried to 8-10% moisture to prevent cracking. These are education grade tree cookies that will last many years in the classroom or project. 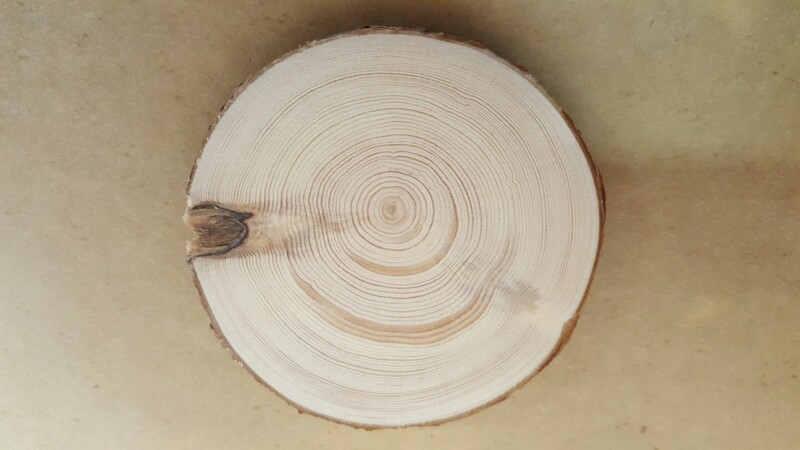 The growth rings are easily visible for introduction to dendrochronology. 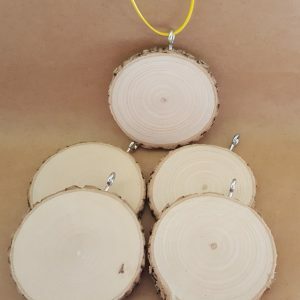 Any tree education study will be greatly enhanced by putting a real life sample in the students hands. This is a softwood tree.